Karen began working as a technician's assistant in 1997. She has been welcoming clients at our current location since 1999. When she is not working, she enjoys spending time with her 5 grandchildren ranging in age from 4 to 18 years of age. She also enjoys fostering special needs animals. 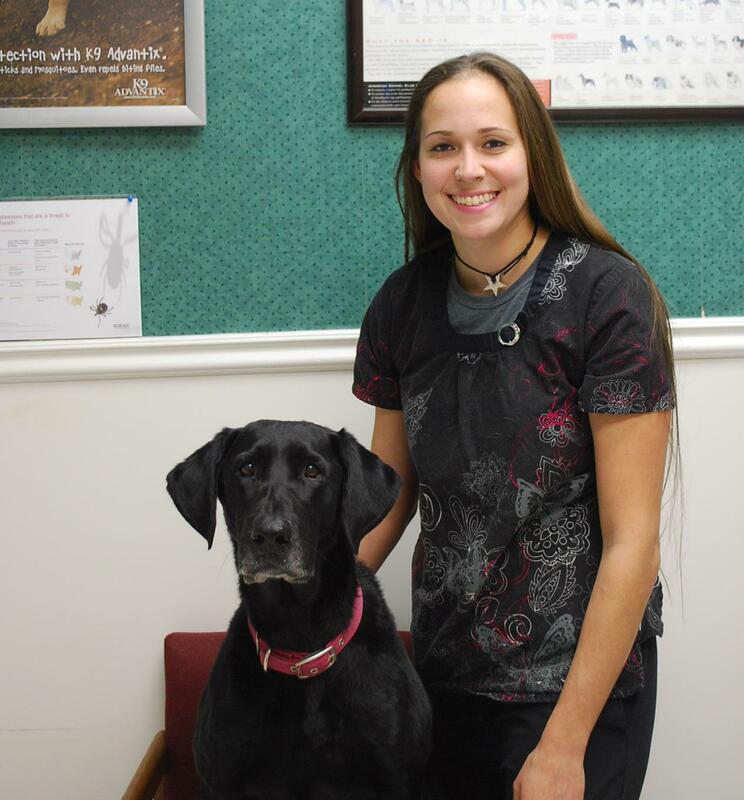 Nicole started working with animals in 2000 and has been a part of our practice since 2007. She works mostly with hospitalized and surgery patients. In her spare time she enjoys working with her horse and competing in endurance races and three day events. Working with animals since 2000, Gina joined the Nottingham team in 2011. She works as a technician here in the clinic but also enjoys fostering animals in need and finding them forever homes. Dana is our newest team member, starting in January of 2013. She has worked in the veterinary field since 1991. When not working she enjoys spending time with her family and gardening. Amy has been at the clinic since October of 2012. She worked full time and is now at Texas A&M but still helps out when in town.